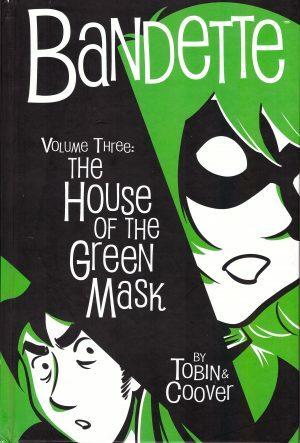 The masked Bandette is a French thief who only robs from criminals, yet also helps out grumpy Police Inspector Belgique in times of need, much as he may resent having to call on her. 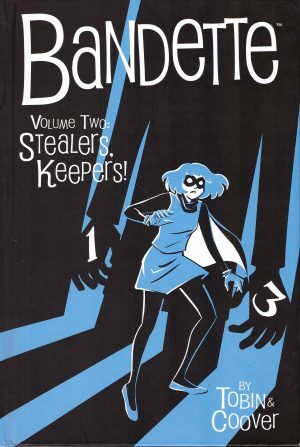 This is established in a fast-paced opening episode that further shows Bandette can rely on a well connected network of teenage assistants who have inventive ways of helping her out of sticky situations. Her real identity is protected by a wig and a bright, distracting costume, but in this collection at least that identity is of little consequence, and to set off the stylish career she also maintains a fabulous secret hideout. Paul Tobin and Colleen Coover supply charm in abundance for a series that to date has won three Eisner Awards for Best Digital Comic, the medium in which it’s originally serialised. It’s difficult to argue with the selection. 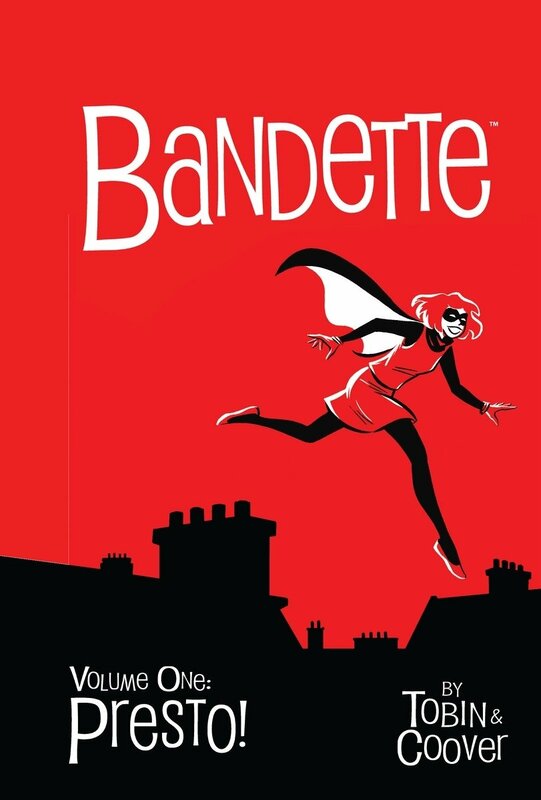 Bandette toys with mythology, cleverly reconstituting a period feel that only really existed in the carefree joie de vivre of some 1960s French films, with the effortlessly stylish and fatally alluring characters of the leading actresses, some of whom are surreptitiously name checked. Their Paris is equally charming, evoked in small doses of architecture, furnishings and objets d’art. An illuminating essay by Coover details how art that looks the perfect pen and ink cartooning is actually almost all created digitally. Yet not all influences are French. There’s a dose of the 1960s Batman TV show here, rendered less emphatically, but filtered via Tobin’s nod and wink dialogue on occasion, and references to past cases. 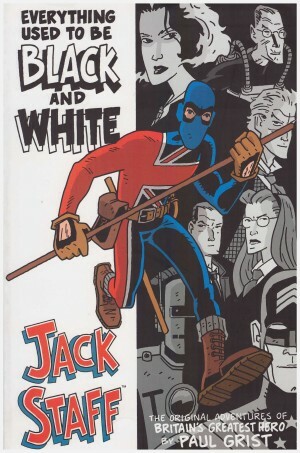 Bandette has a rival, Monsieur, and has angered the underworld enough that they contrive a plan to discredit her and bring her activities to an end. While Bandette is obviously the star, this is enabled by a well constructed supporting cast, all of whom intrigue. The airy spirit of whimsy doesn’t extend to Presto!’s production which is as a desirable hardcover at slightly smaller than standard trade paperback size, with the extras running to a third of the content. In addition to more detailed than standard process pages they include a prose story by Tobin and multiple two and three page vignettes he writes for other artists, amusingly referred to as “Urchin Stories”. 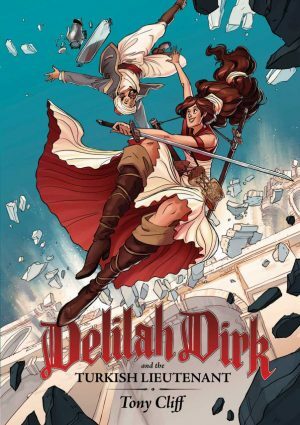 These largely feature the supporting characters, and are either further information about them or Tobin riffing around the French theme, with shorts about smoking addiction (drawn by Steve Lieber), and the ineffable charm of young French women (Jonathan Case). 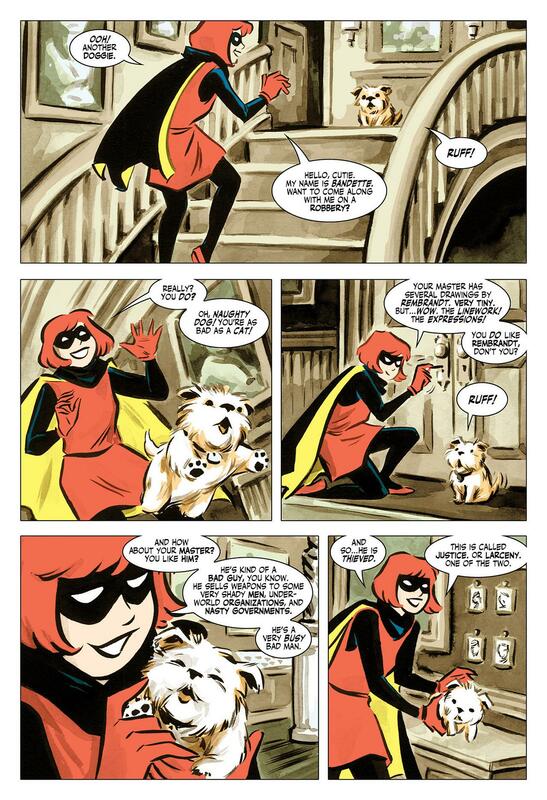 Is there anything negative to be said about Bandette? Mais, non. Head straight for Stealers, Keepers.